Abayas are not only the most modest type of clothing for a woman to wear but they’re also the most elegant and sophisticated. 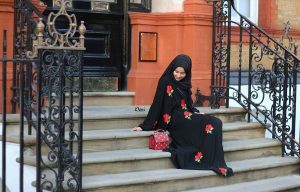 I love wearing abayas and I would love to start wearing them more regularly but I do find them harder to wear in colder seasons so I tend to wear them during the summer or for special occasions. 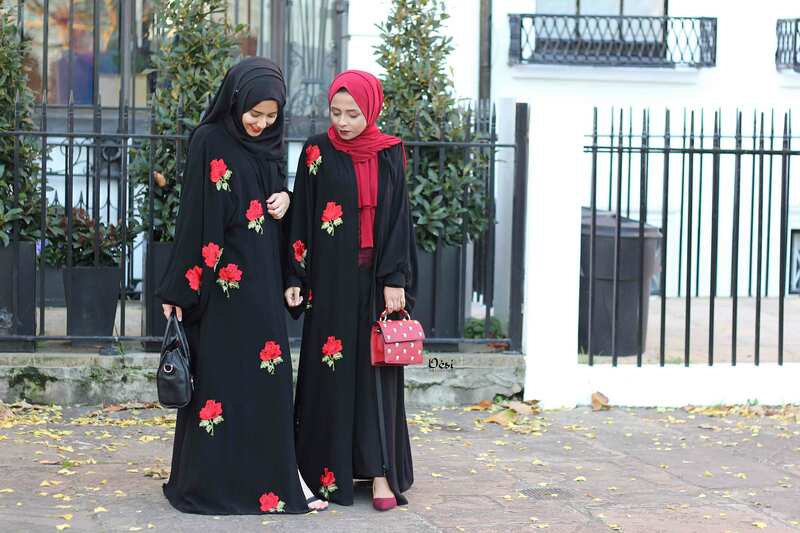 You can never go wrong with a black abaya but I love a bit of glam so I picked these classic black abayas from Feradje, one is embroidered with roses and the other has little diamonds across the front. 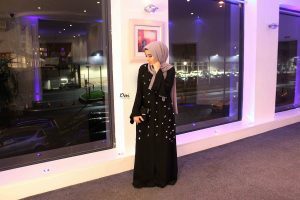 Both abayas were gifted to me from Feradje and my review is completely honest! I was very impressed by the material you can really feel the high end quality. 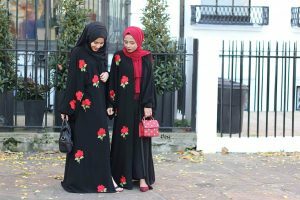 The roses abaya has a more silky texture whereas the diamonds one is less silky and more of a standard abaya material, if that makes sense 😀 The only downside to both abayas is that they were one size meaning it was very long for me. Of course this might not be the case for you but I am quite small, about 5’2 therefore I had to shorten the abayas myself. 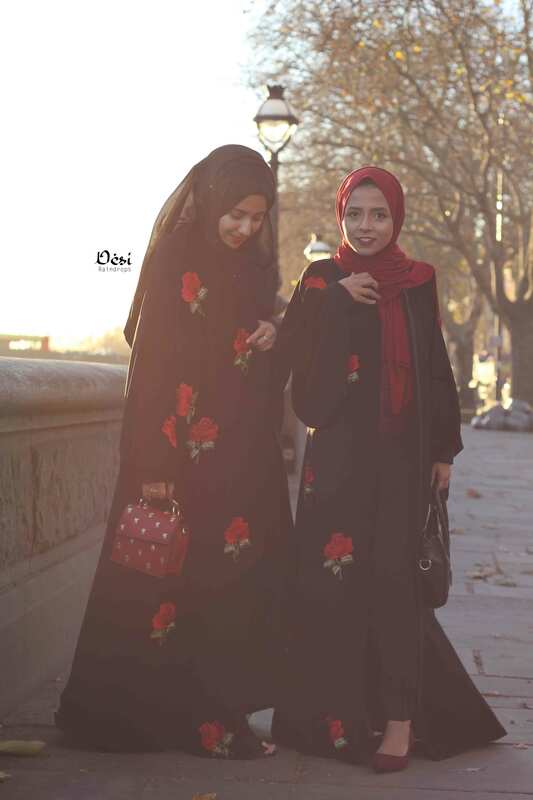 Another great point is that they are both open abayas so you can either wear it open or closed, makes it much more versatile! 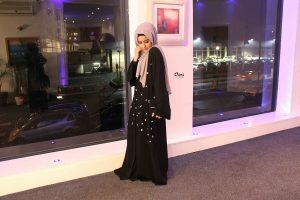 With both abayas i wore chiffon hijabs, mid heels and a clutch bag for a more graceful elegant look.